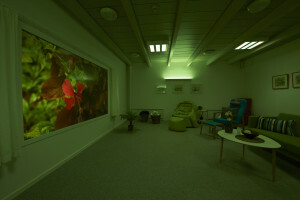 Chroma Zenit Circadian Lighting is based on a unique platform of experience and knowledge in the psychiatric field. 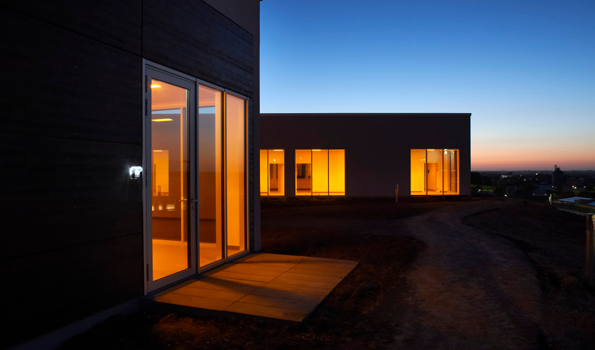 Denmark’s first and largest circadian rhythm hospital, Aabenraa Psychiatry. The hospital, of 10,000 sqm, has run smoothly since 2015 and has created great value. Room-light, clinical, randomized study of +150 patients at the Psychiatric Center Copenhagen (2017-2020). It is a major international study documenting the effect of Chroma Zenit on depressed patients. 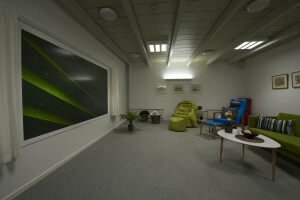 The Future Patient Room, Bispebjerg Hospital (2018). A unique lighting design is being developed here with a whole new generation of circadian lighting. 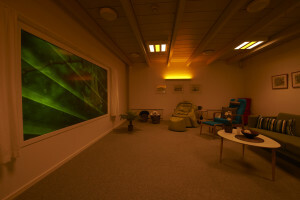 Chroma Zenit Circadian Ligthing by Chromaviso are used with great effect in the psychiatry. The lighting is adapted to individual needs for stimulation of the patients, thus contributing to the treatment of patients. At the same time, the quiet and smooth transitions create a relaxing and comfortable atmosphere throughout the day. Chroma Zenit is recommended by doctors and researchers as a non-pharmacological intervention – an active part of treatment. Chroma Zenit makes a difference in several specialties and situations in the psychiatry. Contact us if you want knowledge about a particular specialty. We often offer a tour at the hospitals where we have implemented lighting, so you can hear the user’s experience in the same specialty as you – and you can experience the effect of light with your own eyes. Read more about the clinical studies and practice evidence that documents the effect of Chroma Zenit Circadian Lighting. 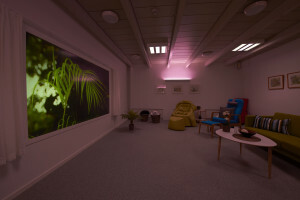 For sensory stimuli, Chromaviso has developed a concept in collaboration with Aabenraa Psychiatry, which offers patients different colored and white lighting settings adapted to raised, passive or other situations.